The HyperDrive iStick is a pocketable Flash drive with a Lightning connector on one end and USB on the other. By using its free iStick app for iPad and iPhone, users can share files among all of their iOS devices and Mac or PC computers. It's particularly useful for bringing movies with you on long journeys. Backup photos from an iPad/iPhone to the iStick. Stream movies from the iStick to an iOS device. Play music from the iStick through my iPad/iPhone. The device does work. 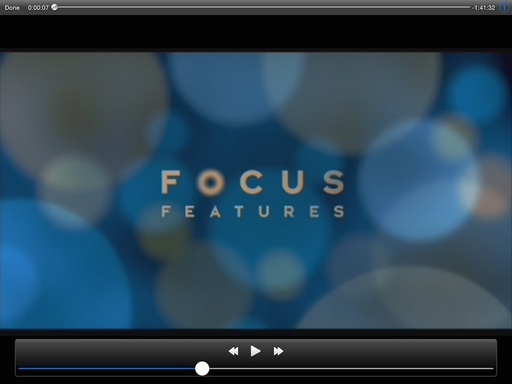 I've streamed movies from a variety of formats to my iPad and iPhone. iStick's built-in player handles the playback. All I had to do was launch the iStick app on the iOS device, navigate to the movie I wanted to watch, and select it. The player itself is quite basic. But you can enjoy the video without having to copy anything to your mobile device. And since most feature movies are 1 GB or larger, that relieves a lot of pressure off the iPad or iPhone. 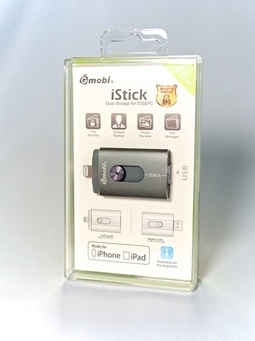 The iStick includes a Lightning extender cable so you don't have to remove the case from your mobile device to use it. Same goes for music. I use Apple's iCloud to manage my music library and to free up space on my devices. Works great except when Internet isn't available, such as flying cross country. With the iStick, you can load up your albums and stream them to your iPhone/iPad without any stress on the device. Again, the player is very basic. The iStick has its own movie player, as basic as it is. Here's where we start to get in to the nits of the device. The hardware seems fine on initial inspection. But the iStick software needs work. Is it functional? Yes, in a basic way. But it does not have the fit and finish that most of us expect from iOS applications. Plus, as it stands now, it's not very useful for photographers. Why? The biggest problem is that photos are displayed with filenames and a generic icon. No image thumbnails. So yes, you can backup your iPad to the iStick on the road. But if you want to find a photo, you'll have to wait until you can copy them to a device that displays thumbnails. Plus there's no swiping or slideshow feature. So you have to open files one by one to display them. This isn't practical at all for showing others your work. Along the same lines, the music player does not move from song to song through the folder. So you have to play each track individually. That's nuts. And you don't get any standard controls beyond play/pause. No album artwork either. Same complaints go for the movie player, but since you don't have to change tracks that often, it's more tolerable. The bottom line is this: The iStick 16GB USB Flash Drive with Lightning for iPhone and iPad ($109) does provide easy, secure sharing among your devices. But it's hampered by subpar software. Right now, I see its best use for viewing movies on the plane, because the built-in player can handle that function, and the nature of movies is to hit "play" and sit back. But beyond that, the iStick needs an overhauling of its software for the device to get a positive review.